I love roasted shrimp. It is an easy, yet elegant dinner. Of course, it is about 10 times easier when you can find peeled and deveined raw shrimp. Thank you, Lenten specials at our small town grocery store. You can use the pre-cooked shrimp, but I think the shrimp turns out to be much more delicious when starting out raw. These roast for less than 10 minutes and are juicy and delicious. They are perfect paired with some pasta or rice. Toss the shrimp in olive oil and arrange in a single layer on a sheet pan. 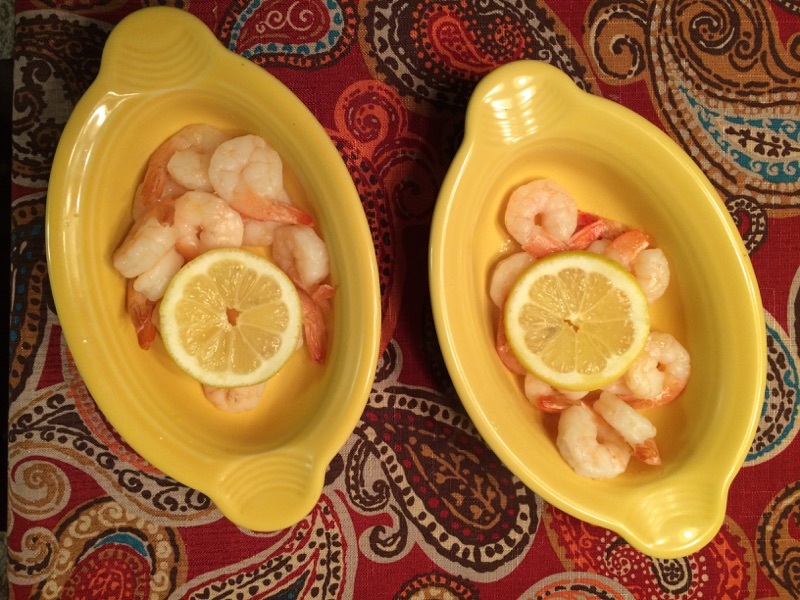 Squeeze lemon juice over the shrimp and arrange a few slices on top of the shrimp for roasting. Roast for 8 to 10 minutes until the shrimp is pink.